Home/Knowledge Base/Email/How to view email full header? 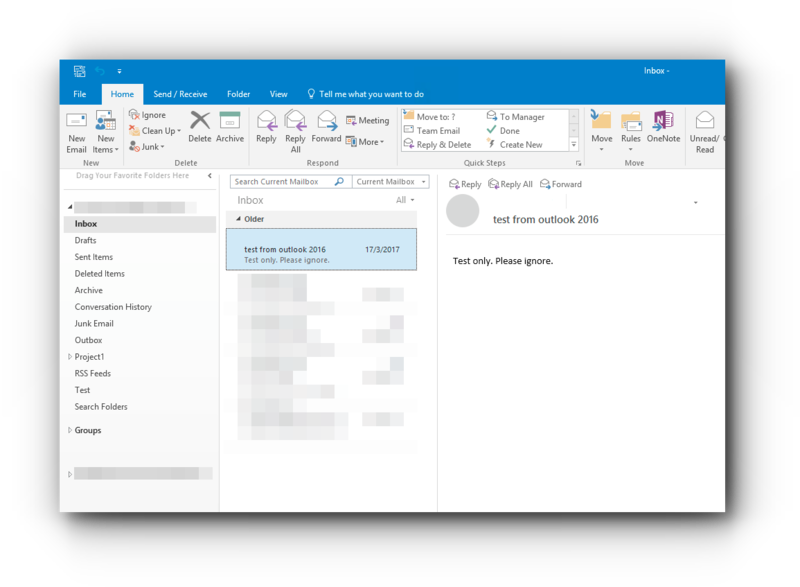 How to view email full header? Step 2. 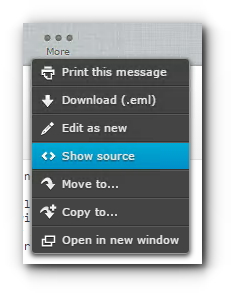 For Roundcube, click on Inbox or any folder where the email is and open the email. Step 3. Click on More icon. Step 4. Select <> Show Source. Step 5. A new tab will open up showing full header of the email. Step 1. 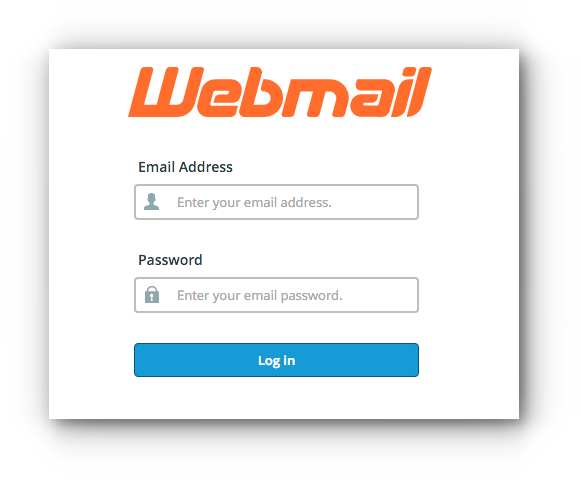 Login to Webmail and choose SquirrelMail. Step 2. Choose on Inbox or any folder where the email is. Step 3. Open the email you want to view the full header. Step 4. Click on View Full Header link in Options. Step 5. 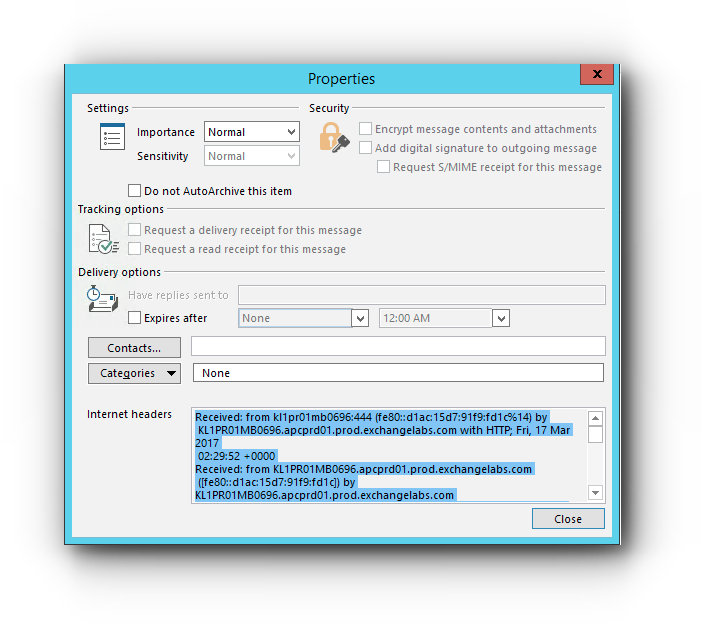 You will be redirected to a page where it will show the full header of the email. Step 1. 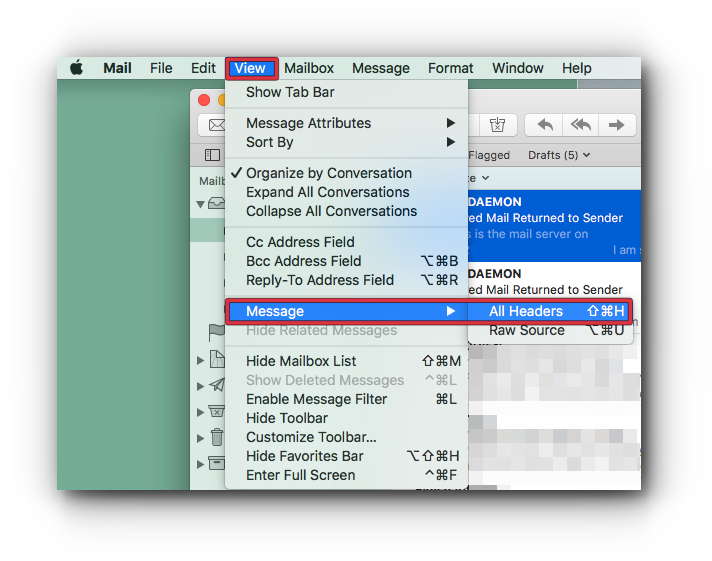 Log in to your Mac Mail. Step 2. Select the email you want to view the email full header. Step 3. Click “View”, select “Message” then “All Headers”. 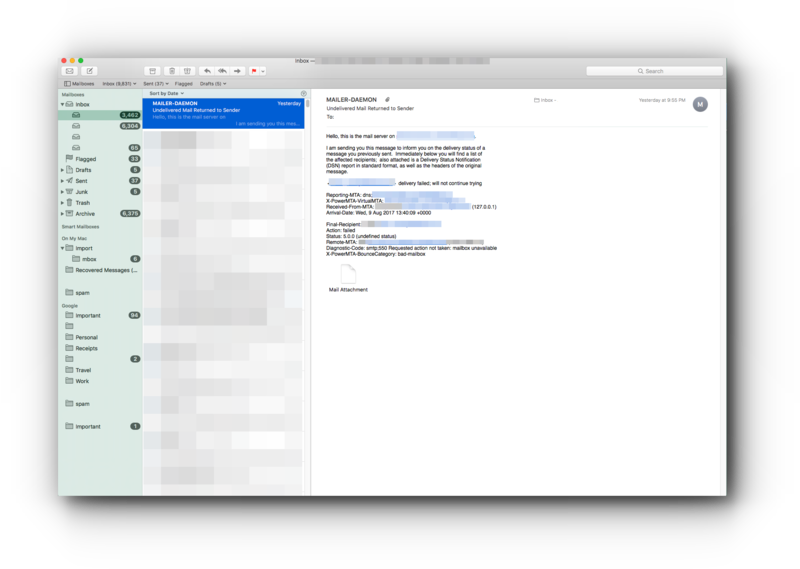 You will see the complete email header of the email. Step 1. 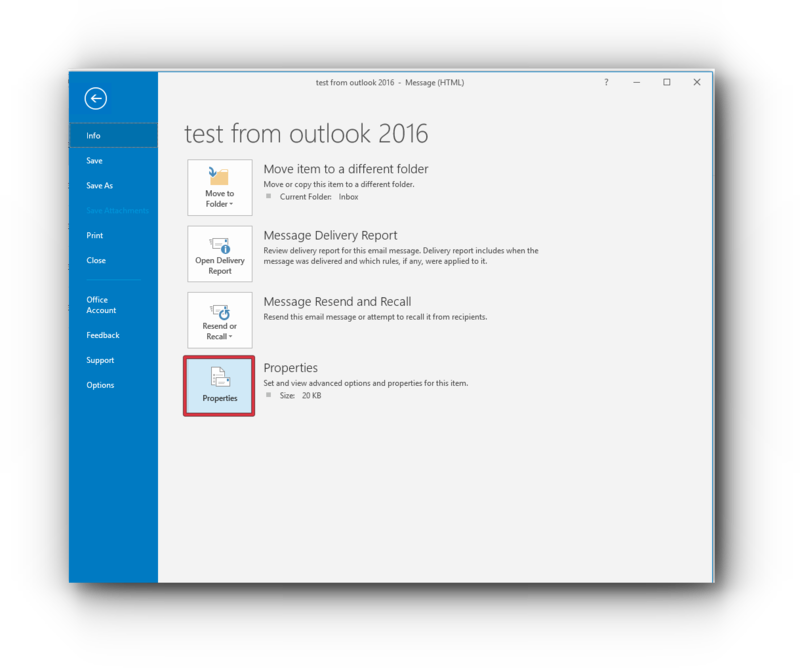 Open Outlook 2016. Step 2. 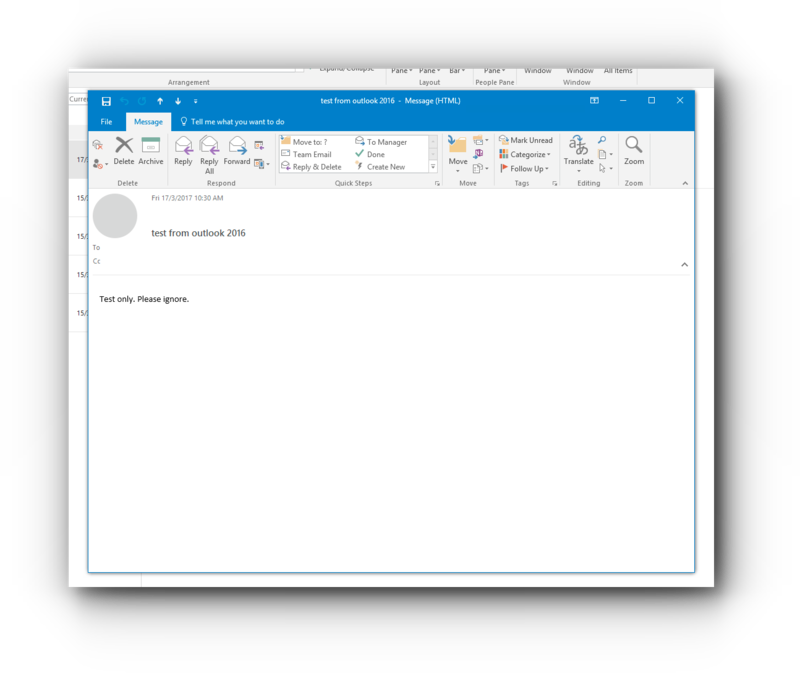 Double click on the email you want to view the email headers so that it will open a new window. Step 3. Click “File” tab. A new pop-up window will show. 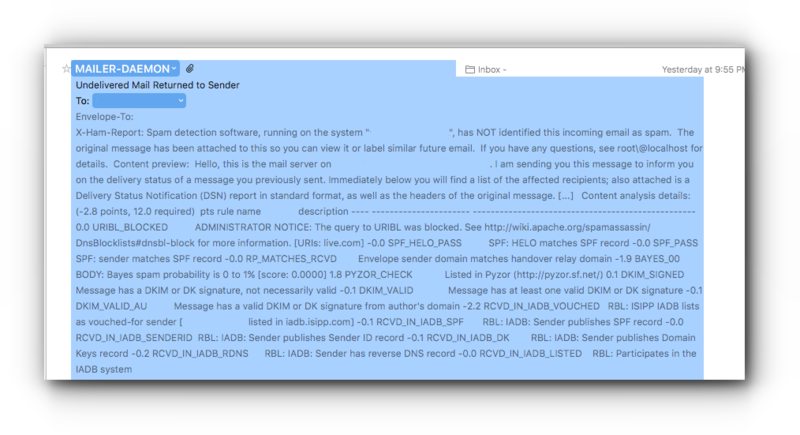 Under “Internet headers” box is the email full header.